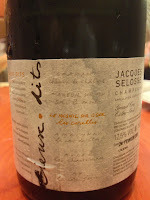 Jacques Selosse Les Carelles (disgorged February 24, 2011) - salty, minerals, salty plum, sweet on the edges of the nose. Palate pretty mature and round, almost a little flat, with a little bit of savory minerals. 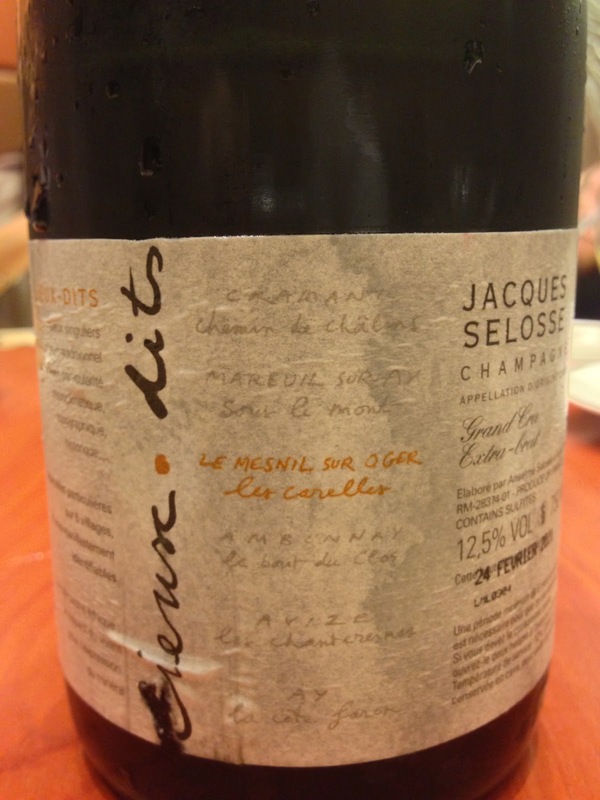 A blanc de blancs lieu-dit from Le Mesnil-sur-Oger, made solera style using 2003 and 2004. 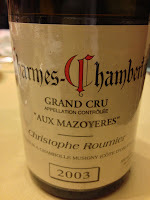 2003 Christophe Roumier Charmes-Chambertin Aux Mazoyeres - a very floral and violet bouquet, with cool fruit, a bit sharp on the nose, but lovely and soft on the palate. A little animal, leather and dried herbs. Quite a lovely wine that's pleasant to drink. 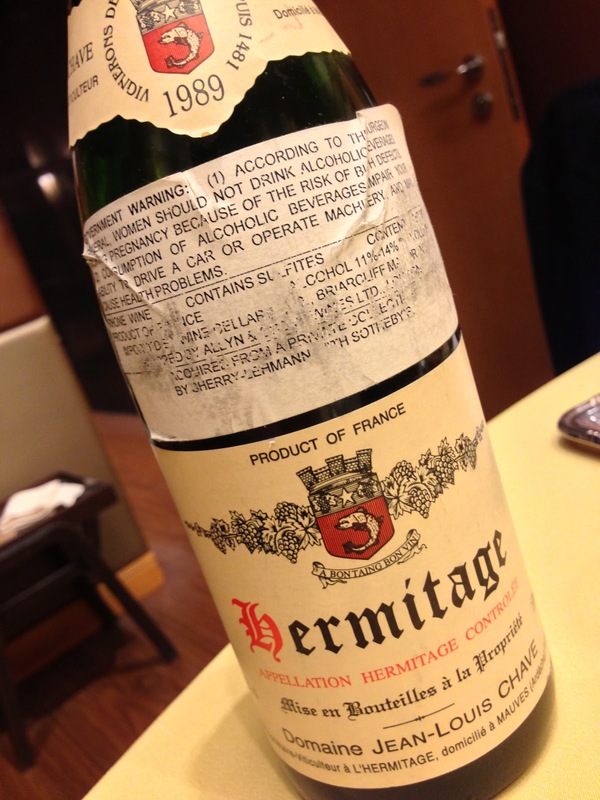 1989 Chave Hermitage Rouge - lots of animal and leather, grilled meats, a little smoky, with some toasty oak. A really lovely wine. 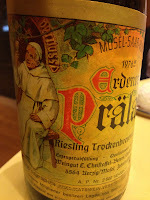 1976 Christoffel-Berres Erdener Prälat Riesling Trockenbeerenauslese - a little plastic, with marmalade and nutty nose. 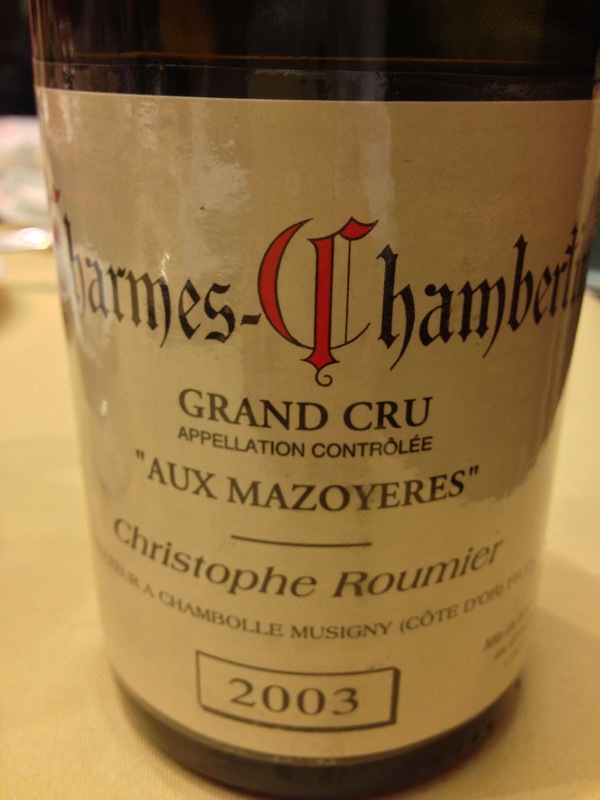 Wonderful acidity balance with the sweetness. This wasn't as sweet as I expected from a TBA, but the acidity was perfectly meshing and in tune with the sugar. Very round and soft on the palate. What a beautiful wine to drink now! 1995 Roulot Meursault 1er Cru Perrières - big, toasty nose. 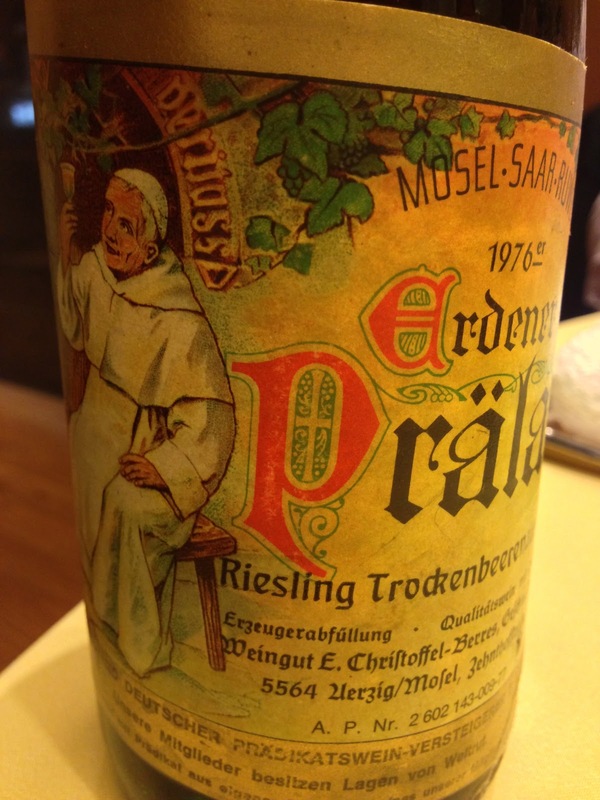 Interesting to find acidity in the nose, which was kinda ripe. Nicely oxidized, with toasty corn. Finish was a little bitter. Pretty nice.